As a self-confessed chocoholic I love nothing more than a good chocolate filled dessert and brownies certainly fulfil that criteria for me. After years of trying to create the ultimate brownie mixture I have finally achieved my perfect foolproof brownie. 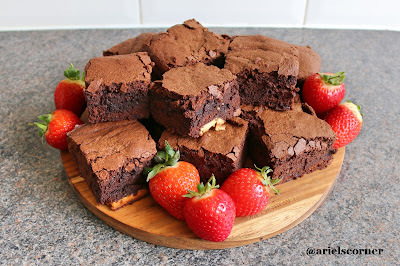 These brownies are just simply delicious and the best thing about this recipe is that it is so easy! · 200g of your favourite chocolate. I have used 100g of white and 100g of milk. Galaxy caramel works amazingly and gives you a delicious caramel brownie. 1. Grease and line your tin with grease proof paper and preheat your oven to 175°c or gas mark 4. 2. Separate the egg yolks and egg whites into two separate mixing bowls. 3. 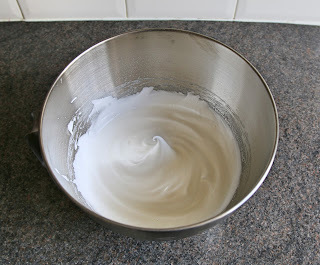 Whisk the egg whites and white castor sugar together until the mixture forms stiff peaks like when making meringue. The egg whites and sugar should combine to create a firm glossy finish, if yours don't just keep whisking and it will eventually! 4. In a separate bowl whisk egg yolks and light brown soft sugar together until completely combined. 5. 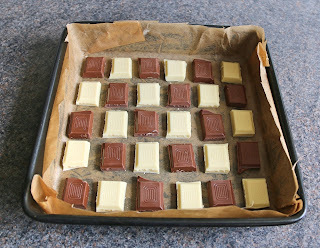 Melt the butter, 100g of dark chocolate and coco power together over a low heat ensuring the mixture doesn’t boil. Leave to cool for 5 minutes. 6. Using the spatula thoroughly fold in the butter mixture, flour, the egg yolk mixture and the vanilla extract into the mixing bowl with the egg whites. Make sure to not whisk at this point or valuable air will be lost. 7. 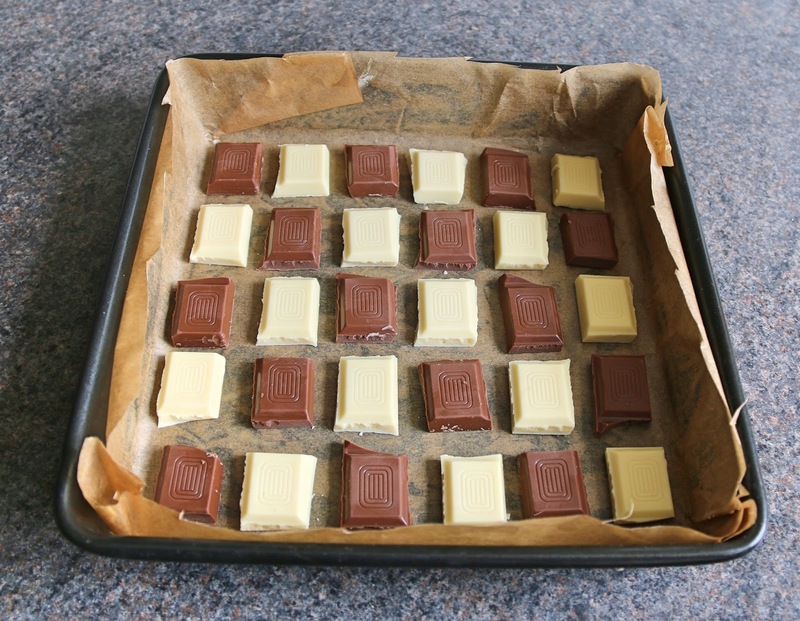 Break up your chosen 200g of chocolate and place on the baking tray. 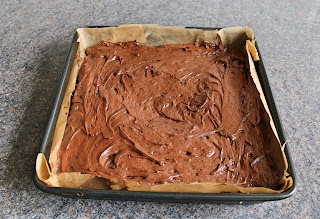 Readers tip -- Placing your chocolate pieces on the tray rather than mixing through the batter gives a very even distribution of chocolate chunks and you are guaranteed each brownie piece will have some. 8. 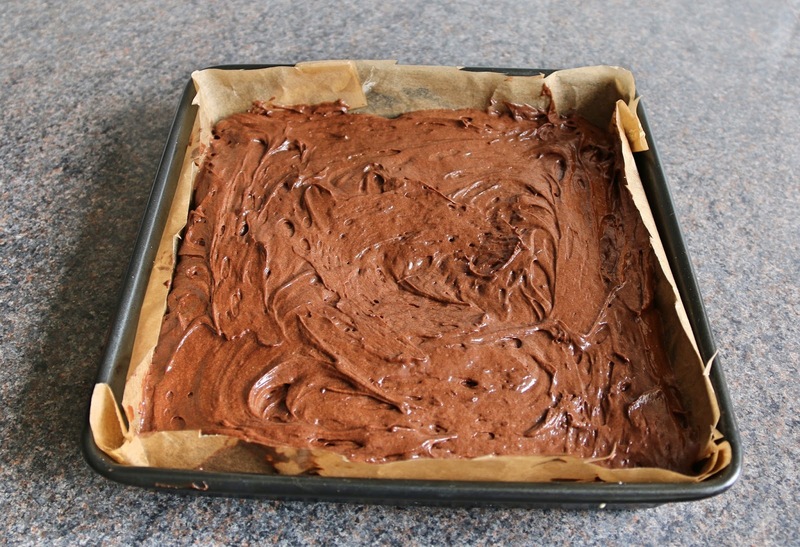 Pour the brownie batter into the tray and bake for 25 - 30 mins (remember fan assisted ovens may cook slightly faster). Readers tip -- when pouring the batter in the tray make a small dip in the middle of the mixture. As it cooks the batter will flatten out giving a perfectly flat topped finish. Be careful about over cooking or you will lose the rich gooeyness brownies need. They will continue to cook slightly when you take them out of the oven as they are a dense mixture. If they are not baked thoroughly you can always pop them back in the oven but you can’t change a burnt brownie. 9. Leave to cool thoroughly then slice up and enjoy! 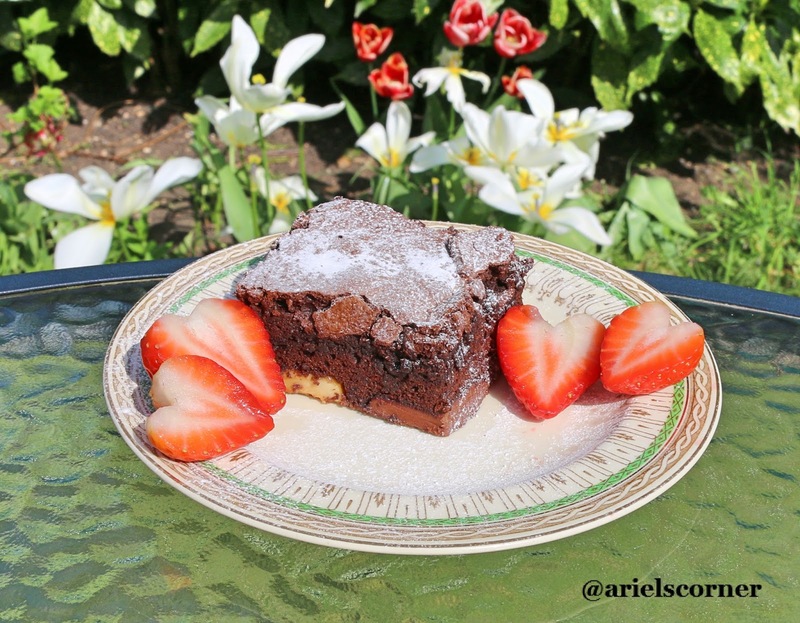 Some fantastic partners for these brownies are salted caramel or peanut butter ice cream, clotted cream, mascarpone or simply as pictured below a dusting of icing sugar and strawberries.